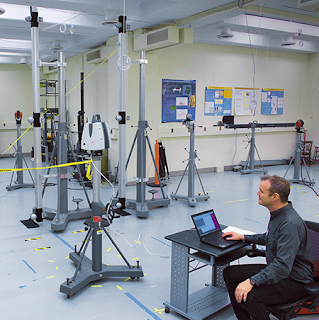 Spar3D: NIST's Physical Measurement Laboratory develops an international performance evaluation standard for for LiDARs. An invitation was sent to all leading manufacturers of 3D laser scanners to visit NIST and run the approximately 100 tests specified in the draft standard. Four of the manufacturers traveled to NIST (one each from Germany and France) to participate in the runoff. Another sent an instrument during the week for testing. Two other manufacturers who could not attend have expressed interest in visiting NIST soon to try out the tests. 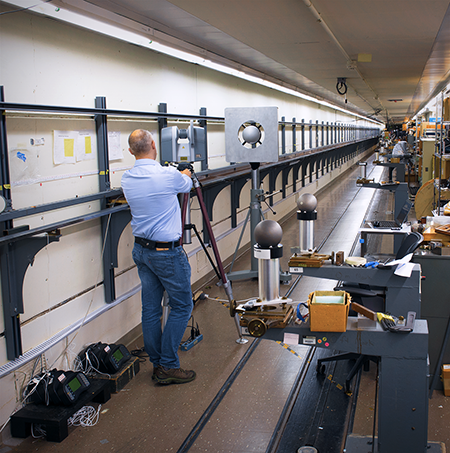 These seven manufacturers represent about four-fifths of the entire market for large volume laser scanners. The new standard ASTM E3125 is available here.